Mickey Truck Bodies, the leading manufacturer of high quality beverage bodies and trailers, has introduced the all new 21st Century trailer designed and built specifically for beverage delivery. The heavy-duty trailer configuration handles better, has a more modern appearance and lasts longer than conventional box trailers. 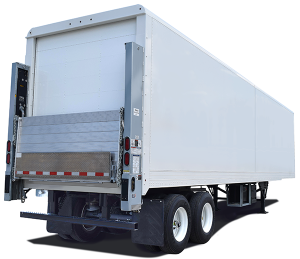 Mickey offers the 21 Century Trailer with several lift gate options. For more information on the new 21st Century Trailer from Mickey Truck Bodies, including features, options and dimensions, click HERE.